Something truly, truly awesome just happened in Fargo, ND on June 9 – Natural Grocers officially opened its doors! I can hardly contain my excitement for this grocery store opening in Fargo. There are plenty of great reasons why. This post might get kind of long, but bear with me. Plus, even though I won’t go into great detail about the paleo and gluten-free products available at the Fargo Natural Grocers, I plan to eventually write up a more detailed shopping guide. For the time being, read on for why the Fargo Natural Grocers will be my store of choice for Paleo shopping. For many of my non-Fargo readers, it might be hard to believe this. But it’s true. North Dakota (yes, the entire state) is devoid of Whole Foods and Trader Joe’s. There are are few tiny “health stores” in Fargo, but none of them are bigger than an average-sized apartment, so the selection is extremely limited at these places. Natural Grocers is filling a gaping void in North Dakota! I can’t tell you how excited the Fargo-Moorhead community is about this. On opening day, there was a line of at least 100 people outside before the doors opened (the employees served them coffee/tea while they waited). 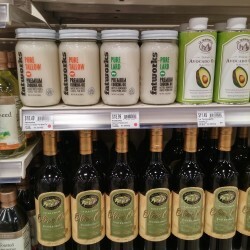 Fargoans (me included) are thrilled to be able to shop at one place for organic, “specialty”, or high-quality grocery items, instead of having to hop around between the tiny health shops and limited “natural sections” of typical grocery stores. How do I know Fargo’s excited? Well, they’ve been officially open for 2 days, and they’ve been packed from open to close. They’re even running out of product on the shelves because the response is bigger than they thought! 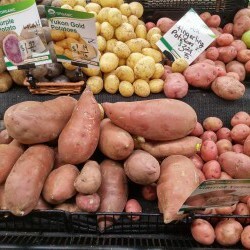 (So…apologies if there are empty shelf spaces in some of my pics) I’ve also heard that the Fargo Natural Grocers broke company records in opening day sales and produce one-day sales. Yeah, I’d say Fargo is pretty excited. Because there’s no other full “health” grocery store in ND, Natural Grocers carries products that, frankly, you just can’t find elsewhere in Fargo. 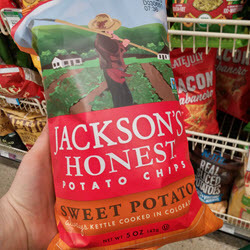 For example, Cappello’s pasta, Fatworks, Epic’s new bites, Jackson’s Honest Potato Chips, Kensington’s, and a whole lot more. 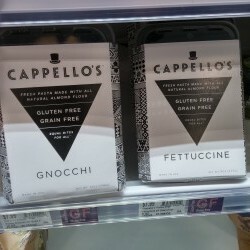 In case you’re wondering, I totally bought some Cappello’s pasta during my first trip (it will be my first time eating pasta in two years). I also bought paleo bratwurst from Nieman’s Ranch and plantain chips. All of those are things I can’t find in a 200-mile radius around Fargo. Now, Natural Grocers says that they’re a “low price leader”, and I wouldn’t necessarily say that. However, I was concerned before the store opened that everything would be way out of my price range. 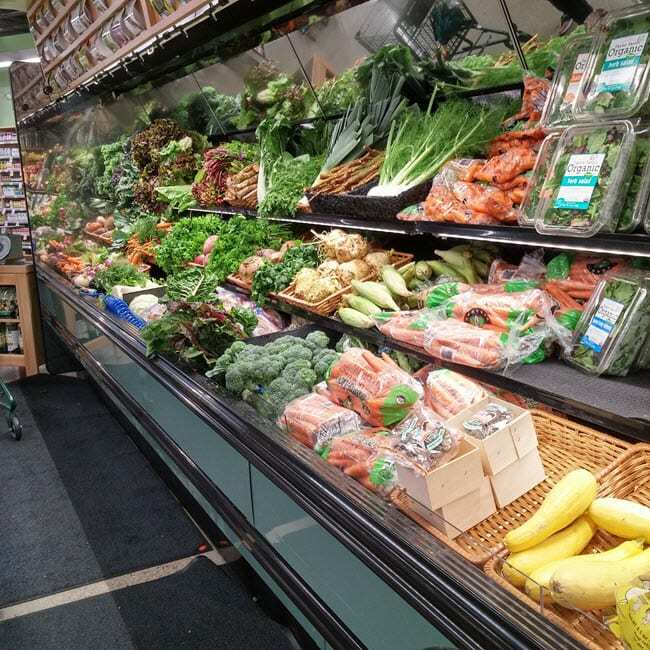 All of their produce is 100% organic, and given my experience with the small organic selection in other area grocery stores, I assumed it would be unaffordable or that the selection would be sub-par. I was pleased to find that’s not the case. The produce is more than affordable and is close to rivaling the non-organic produce at other grocery stores. For example, a bunch of organic kale from Natural Grocers is $1.50. At another area grocery store, a non-organic bunch is $1.89. Organic would cost you close to $3. I already mentioned how affordable the bulk section is above! Those potatoes look pretty tiny, but they’re normal-sized. The yams were HUGE. There are a few other products that I regularly (used to) buy from those other small health stores that are significantly cheaper at Natural Grocers. For example – bacon. That’s like, huge! Epic bars are also significantly cheaper than I can find elsewhere in Fargo. That said, not everything is cheaper, but you are paying for quality (and of course, the store has to make money too)! 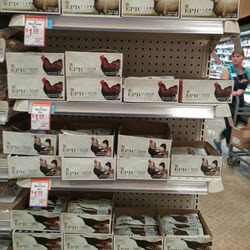 The new Epic Bar flavors on sale for $1.99! That’s Epic! I can’t say enough how much I love this about Natural Grocers. Even though all of their prices might not be lower than area stores, I will gladly choose to be a customer at Natural Grocers just to support their standards and mission. First off, the company will only carry 100% organic produce. Period. They have standards for the meat and dairy they carry. No hormones, no antibiotics, no growth promoters. Animals must be given pasture and raised humanely. I can trust that the meat I’m buying there is quality. 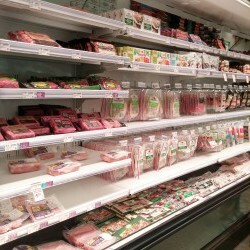 Plus, this Fargo store apparently has the biggest meat selection of any Natural Grocers store (for now)! Only part of the meat section at the Fargo Natural Grocers. Actually, they only recently put their dairy standards in place. That meant they had to quit carrying many brands because they didn’t meet their standards. And you know what? I love that. I love that the company is willing to possibly lose some money because they want to stand up for quality and humane treatment in the food supply. All of the other products in their stores have to meet standards as well. There’s actually a huge list that you can find on their website that lists all of the ingredients that you won’t find in their store…and why. I think it’s awesome that they tell you why…education is important! There’s certainly a lot more the store could carry and pass off to their customers as healthy if they didn’t have these strict standards. But they choose not to. Instead, they choose to stand by their standards and show that the consumer wants products that meet these standards. We talk a lot in the Paleo community about the power of our food dollars as consumers. Well, it’s nice to support a company that uses their position to impact the food industry. The Fargo Natural Grocers has this huge community room that’s open to the public. There’s free WiFi, coffee, and tea there. That room is where nutrition education and outreach classes are taught and cooking demos are given (like my upcoming demo!). All of these classes are free and open to the public. This room is also available for non-profits to use as a meeting space for free. There are no plastic bags at the checkout. Instead, they’ll pack things in boxes for you…or, you can use a reusable bag. For every reusable bag used at checkout, $.05 is donated to the local food bank. In addition to selling healthy, sustainable foods, Natural Grocers also stresses health and food education. Community is important in Fargo. The connected-ness and local support of our city are what makes it uniquely home (despite the subzero, 7 month long winters). So it’s important that companies new to the area are ready to embrace and encourage that community. I hope to see Natural Grocers doing just that. This post isn’t sponsored in any way. I did attend a sneak peek event hosted at Natural Grocers, where they gifted attendants with $15 gift cards. However, I wasn’t asked to write anything…I’m just freaking excited about this store! All opinions are my own, as usual. You totally nailed WHY this store is such a big deal here. I hadn’t heard that it broke records, but that is amazing! I love that we’re all embracing it — I REALLY hope they stay super successful. They deserve it. That store is the bomb. I only heard that they broke records because I kind of have an insider. 😉 But yes…I truly want the best for this store! I could see a location in South Fargo (Osgood), a location in Bismarck…the list goes on. Ha! I like this store, without a Whole foods, or Trader Joe’s its what we have to settle with… can you get Celery Root normally anywhere else? This is very exciting!! I live in Austin and travel to Fargo to visit family and I always have a hard time finding food to meet our paleo lifestyle. In the past, I order from Thrive Market and Amazon and hope for the best when we get there. Now I know that I won’t have a problem this time around. Yay!!! Your feedback form is very touchy and hard to use. The store website does not show any local address nor phone number that I can find on a normal-sized smart cell phone screen display. Furthermore, you need to list your store address and phone number in the local phone books. Dah! Hi Jerry! This is just an article about the store – I don’t work there and this is certainly not the store website! 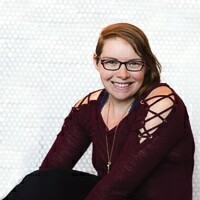 However, a quick search got me this page on their website: https://www.naturalgrocers.com/store/fargo – assuming you’re in the Fargo area, that should list the address/phone number for the store! Don't subscribe All Replies to my comments Notify me of followup comments via e-mail. 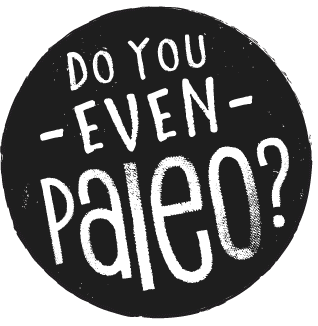 You can also <a href='https://www.doyouevenpaleo.net/comment-subscriptions/?srp=765&srk=87505361eee98908ddf6ccb8681f50d6&sra=s&srsrc=f'>subscribe</a> without commenting.